The VU-Orchestra originally belonged to the Free University of Amsterdam, but has been an independent association since 2014. The orchestra was founded in 1962 by Berthe Smit and the first conductor of the orchestra was Otto Klap. What started as a small chamber orchestra, grew in the last 50 years to become a magnificent symphony orchestra. The VU-Orchestra is one of the Netherlands biggest and most pioneering orchestras thanks to the effort put in by the members and their conductor. The repertoire is put together by some members of the orchestra, otherwise known as the ‘programmacommissie’. The conductor is also part of this group. When looking for a new repertoire, the group takes the wishes of other orchestra members into account, while also looking for challenging and innovative pieces. The orchestra studies a new repertoire every 6 months, and ends every project with a series of concerts. The VU-Orchestra often accompanies choirs and soloists, whilst doing their own projects. The Hague Concert Choir (HTK) is a large choir which frequently does concerts with the orchestra. This collaboration brought the magnificent War Requiem by Britten to the Dr. Anton Philipszaal in The Hague and The Concertgebouw in Amsterdam in the spring of 2015. The orchestra has accompanied greats in the past like Janine Jansen, Isabelle van Keulen, Ivo Janssen, Quirine Viersen en Pieter Wispelwey. 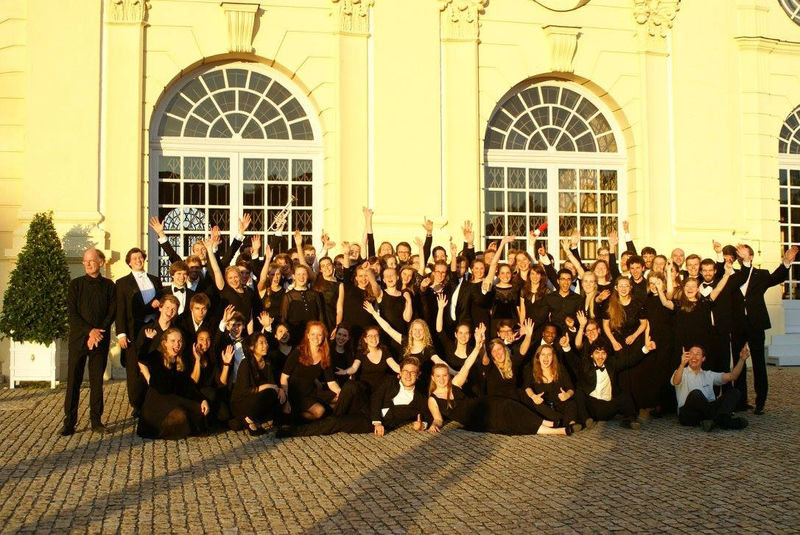 Every year the VU-Orchestra travels to another country during their summer tour. In the last couple of years the orchestra has been to places like Italy, Germany, France, Bulgaria, England and Estonia. In 2012, when the orchestra celebrated their golden jubilee, the VU-Orchestra was invited to play in Russia. In both Saint Petersburg and in Moscow big concerts took place with very appreciative audiences. Because of this, the orchestra traveled to Russia again in 2014, after visiting Estonia first.